Life happens. That’s inevitable. I set out to change the world and make what little difference I could in the time I had to offer not knowing how much my experience would in turn change me. I have been following a few not-for-profit organizations for some time and I knew I wanted to give back but somehow my life here in Sydney kept me grounded. 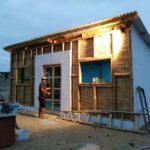 I knew that wanted to combine my love for surfing, traveling and volunteering. One winter day the universe aligned and work brought me to the other side of the world, which meant I had a small window to take a break. I wanted to use that time to make an impact so I researched further and did a little due diligence on the organizations I had been following. Then as always, at times of uncertainty, I followed my gut. This led me to reach out to WAVES. Dave, CEO of WAVES International introduced me to the organization and what they stand for. The passion and enthusiasm I saw when we first connected had me absolutely stoked and I trusted I was embarking on the right journey. Soon after I was enroute to El Transito, Nicaragua. 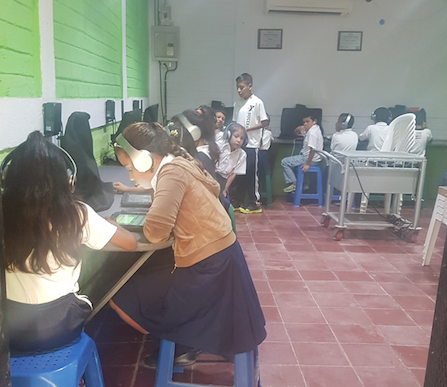 I didn’t know much about Nicaragua and my Spanish is pretty basic however the idea of learning about and contributing to a local community overruled my fear of not being able to communicate. I was also able to be a part of a new chapter for WAVES in Nica and happy to say it was one of the best decisions I made. The program coordinator onsite Leyder, pronounced like ‘later’ with a D, met me with a warm smile and helped me plan my schedule during my stay. 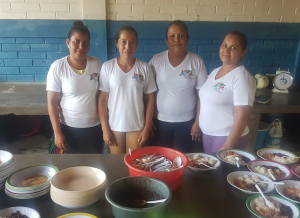 Although there was a language barrier, my days were spent laughing and somehow communicating with four incredible women, Conchita, Cynthia, Daniela and Darilla who worked tirelessly at the school. In the afternoons you got to play rounds of ‘pelota’ with the kids, which was a hoot but to be honest I still couldn’t get the hang of. From what I gathered the game was a cross between baseball, soccer and dodge ball. Evenings were spent relaxing and surfing right by Solid. And of course a couple of local bars are open for a drink and beer pong at night Where you can meet other travelers. 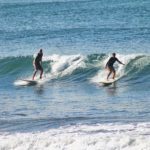 You can get as much out of your volunteering trip as you wanted and WAVES and the team at Solid Surf really help facilitate this. 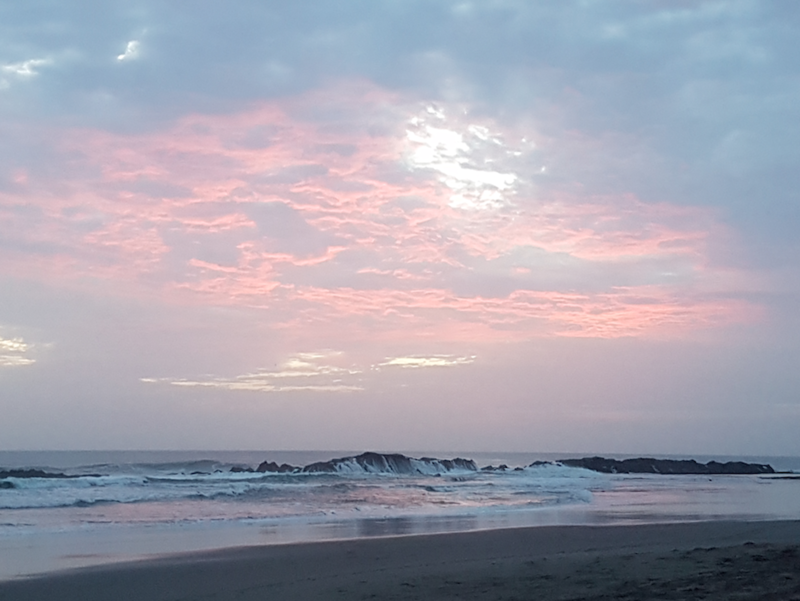 El Transito is a beautiful place visited by a few travelers and surfers. Hitchhiking to the mainroad becomes second nature. You’ll see the fisherman as you surf and catch breathtaking sunsets every night as you eat dinner and wind down. And at the crack of dawn you’ll wake up wandering what the swell and tide is doing that day. 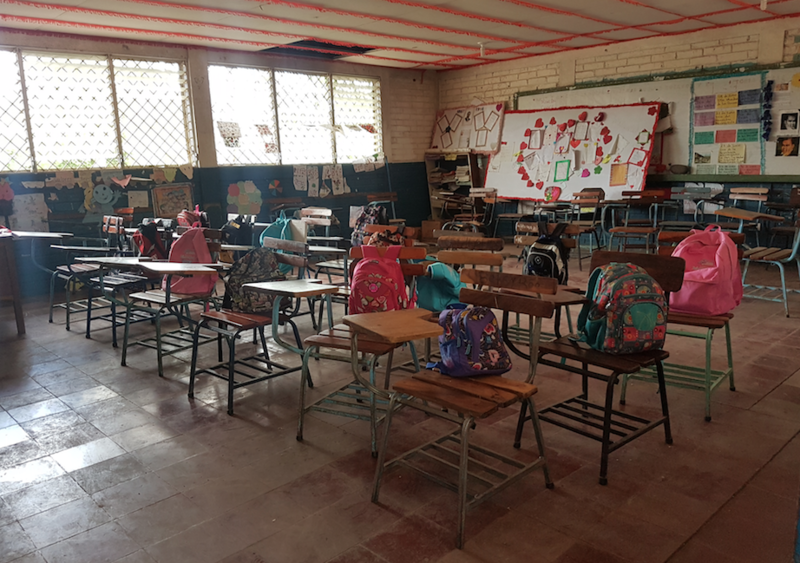 El Transito is a quiet and serene town with incredible people which has captured my heart. Not everyone has the opportunity to do something like this but I can honestly say it was a humbling experience, which I am truly grateful for. 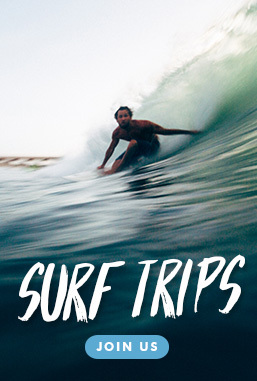 My trip to Nicaragua with WAVES will be the first of many. 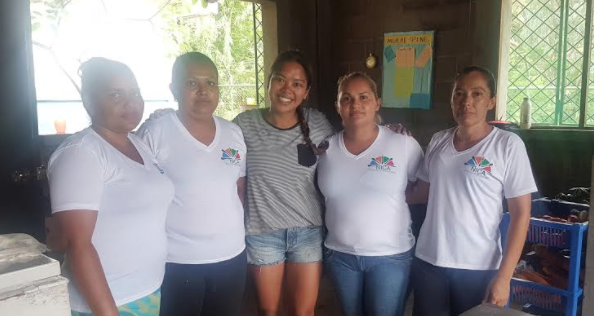 Thanks to Mia for providing WAVES and our future volunteers with some insight into our programs in El Transito. 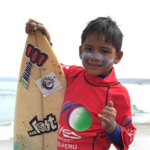 Want to surf and volunteer in Nicaragua? Check out our trip here!